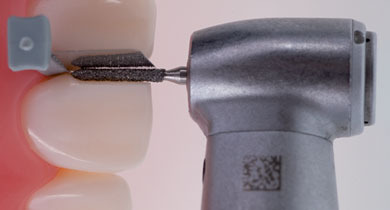 The FenderPrep protects the adjacent tooth and surrounding gingiva during all major preparations such as crowns, veneers and inlays. 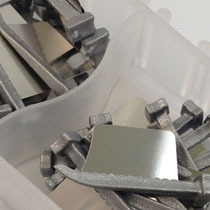 FenderPrep is a combined wedge and steel plate. 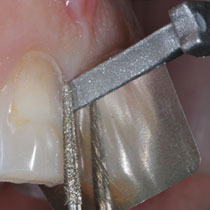 The boat shaped tip allows the gingiva to be condensed without damage. It can be inserted buccally or lingually. The steel plate is perforated thus allowing it to be bent before insertion so that it will lean against the adjacent tooth providing protection, better space and vision.